Kolkata, April 16: A political controversy erupted after the Trinamool Congress (TMC) roped in Bangladeshi actor Ferdous Ahmed for campaigning in the Lok Sabha elections in West Bengal. The Bharatiya Janata Party (BJP) has approached the Election Commission of India (ECI), accusing the TMC of violating the model code of conduct (MCC) by bringing foreign national for political campaigning. On April 14, Ferdous Ahmed was seen campaigning for TMC candidate from Raiganj Lok Sabha seat Kanhaiya Lal Agarwal in North Dinajpur. 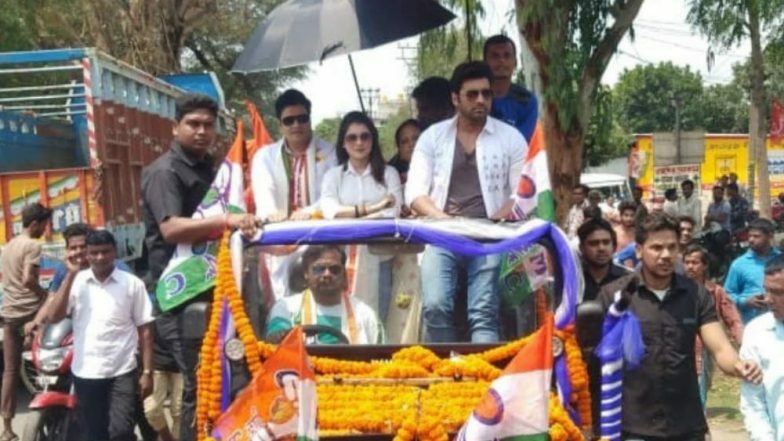 Accompanied by Bengali actors Ankush and Payal, Ahmed also participated in a roadshow from Karandighi to Islampur. Reacting to the development, the BJP said it was an attempt by the ruling TMC to woo minorities who play a decisive role in Raiganj Lok Sabha constituency. BJP Alleges Rigging by TMC in Cooch Behar, Demands Repoll. "It is illegal. We want action against Trinamool and have moved to the Election Commission," BJP leader Pratap Banerjee told a leading daily. "This clearly establishes that for Mamata Banerjee[chief minister] everything has to come from across the border. She always says that people from across the border are welcome while opposing National Register of Citizens (NRC)," BJP leader Sishir Bajoria said. West Bengal BJP chief Dilip Ghosh also condemned the TMC move. CPM Flays 'Competitive Communalism' of BJP, TMC. "How can a foreign national campaign for TMC. Tomorrow, they will invite Pakistan Prime Minister Imran Khan to campaign for the TMC. We condemn this, as a Bangladeshi film star should not be a part of India’s biggest democratic festival. The TMC is scared of us and hence bringing foreign actors here," Ghosh was quoted as saying.